Introduction to neural networks, Optimization of NN, NN with time delays, Monte Carlo with different temperatures. The new and greatly expanded second edition of the highly popular Numerical Recipes in C features over 100 new routines and upgraded versions of the original routines. The book remains the most practi . 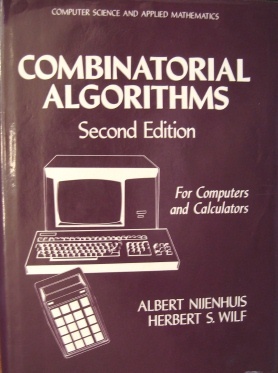 . . . .
A good electronic book about Fortran 90 and scientific programming: Numerical Robustness; Data Parallelism. Chaitin, the inventor of algorithmic information theory, presents in this book the strongest possible version of Gödel's incompleteness theorem, using an information theoretic approach based on the s . . . . . Le but de ce cours est d\'apprendre a programmer en fortran 90. Contents: Particle and Atomistic Simulation; Image Processing and Visualization; Performance Modeling and Tools; Biomedical Applications; Parallel Algorithms; Parallel Programming Models; Numerical Al . . . . .
Modular Programming with Fortran 90, a good tutorial to learn Fortran 90. The theorems and algorithms are all described in an intuitive yet precise manner, and the monograph would be an easy-to-read introduction to the area for any graduate student of mathematics or compute . . . . . Problems on Algorithms, Second Edition, by Ian Parberry and William Gasarch, 2002. This supplementary textbook contains 965 problems on algorithms suitable for undergraduates, graduate students, and i . . . . . This groundbreaking book presents a complete methodology for adaptive programming in any object-oriented language. Lieberherr's method provides a new approach to object-oriented program design that go . . . . . These are the lecture notes of Operating Systems course at the Faculty of Engineering of University College Oslo, Norway. Topics covered include: key concepts, resources and sharing; resource manageme . . . . . These notes are a brief introduction to the RSA algorithm and modular arithmetic. They are intended for an undergraduate audience.